Where Should I Go On My Next Trip? 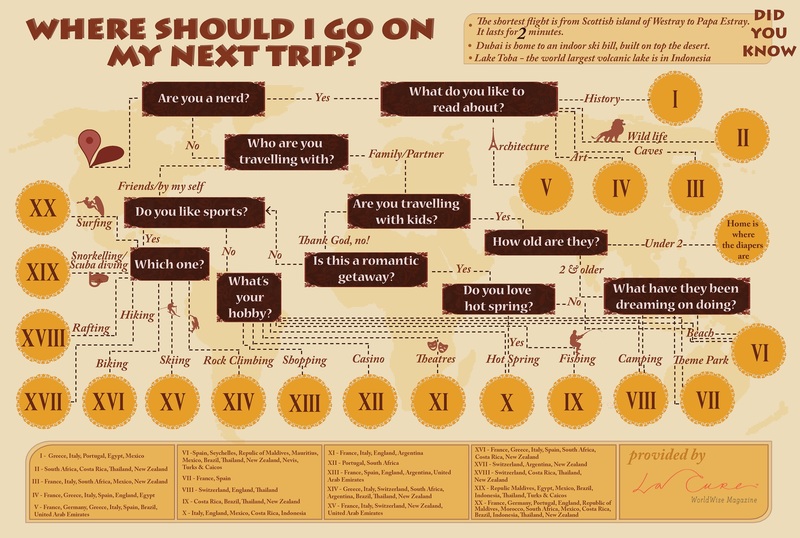 LaCure Villas has put together this fun guide that is designed to help you choose a destination for your next vacation. Follow the path to discover your interests and the perfect place to travel to.